Maintenance free lifestyle! You better hurry! Sought after 2 bed, 2 bath patio home style condo in Greystone Manor. Conveniently located by Springhurst shopping, dining, medical facilities and Snyder Freeway. You'll love the open floor plan. The vaulted great room has a half circle transom window to bring in lots of natural light. You can curl up by the fireplace on those cool winter evenings. The adjoining dining area is perfect for entertaining. Do you love cooking? There is an abundance of cabinetry, pantry, microwave/range hood and gas range in the adjoining eat in kitchen. The master bedroom has a walk in closet and private bath. The second bedroom has a vaulted ceiling. There's no need to scrape the windshield of your car--this home features a garage as well! Neighborhood amenities include a clubhouse with pool, fitness center and tennis courts. Schedule a private visit today! Directions:Turn into development off of Westport Rd-- across the street from Home Depot and just past Buffalo Wild Wings coming from Snyder Freeway. SchoolsClick map icons below to view information for schools near 3015 Westone Way Louisville, KY 40241. 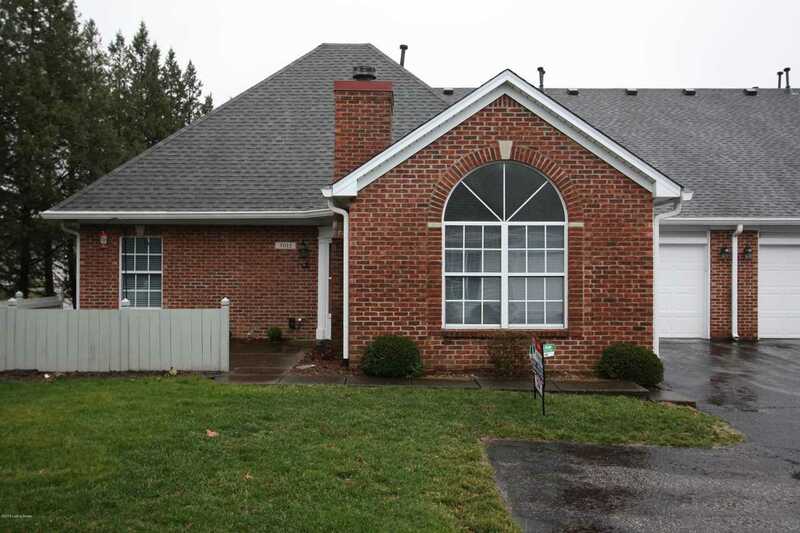 MLS # 1523124: This property at 3015 Westone Way, Louisville, KY 40241 is located in the Graystone Manor subdivision and is listed for $162,000. MLS # 1523124 has been on the market for 90 days.